When connecting to a TV tuner, you must first completely disconnect the power supply to all equipment. Technical capabilities to pick up the appropriate cable to connect the tuner to the TV. When all the equipment is de-energized, the tuner must be connected to the TV at the same time via component (composite) and HDMI. Power up the TV and tuner. By default, the HDMI output is disabled on the TV, switch the input to component (composite). To reset the tuner to factory settings by pressing simultaneously the buttons MENU and OK on the front panel and hold them for 2-3 seconds, after that release all buttons to confirm the reset once pressing the OK button on the panel or tuner on the remote control. The power cord of the tuner to move to the HDMI – enabled. Then you need to switch the TV input to HDMI is done in the selection of inputs on the TV. You should wait a bit before the tuner finally loaded, and then should proceed with the initial setup of the tuner: to select the language, input source and resolution (576p-720p), all these actions must be done when you are still connected via component (composite). Set up? Everything is now a component (composite) can be switched off. Depending on the format supported by your TV, the HD resolution can now be increased up to 1080i. If the call to the main menu when viewing in fullscreen mode is difficult, two times click on the OK button. In order to stretch the image to fill the screen, do the following manipulations: Menu> Setup> System settings> Pin code 0000 =>Setup setup => TV Settings=> choose the format (Stretch)! If the above manipulation fails to connect the tuner via HDMI cable, try disconnecting the TV and decoder off and then on again. The order of inclusion can be arbitrary. 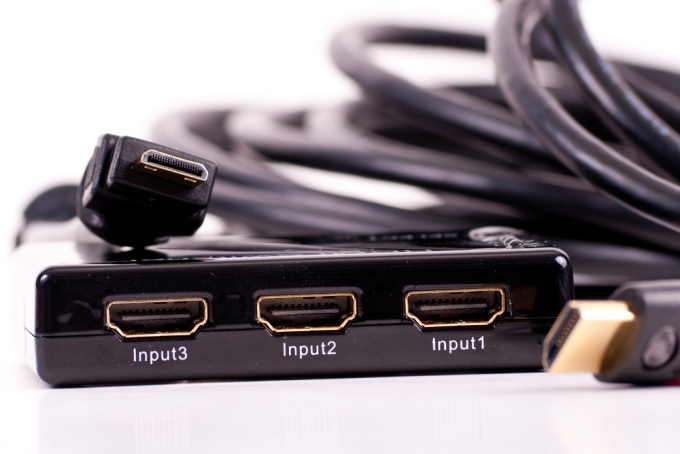 Also when you connect the tuner to the TV you can use HDMI-DVI cable, however, note that with this connection the sound will not be played, it must be connected using an optional cable.